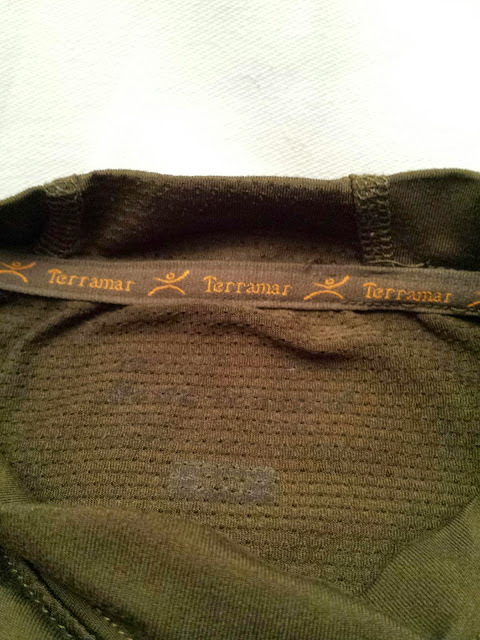 As most of you are aware, and for those of you who aren't, I am a brand ambassador for Terramar Sports. What is this Terramar Sports you ask? Well let me tell you, only the best base layers you can find to fit all sorts of bills for outdoors activity regardless of season. It's been over a year since I've been stumping for Terramar and still to this day it's a brand I love and believe in. For this season, I've been outfitted with a great assortment of gear to keep the running going through the winter, and let me just say, they didn't disappoint. One of my favorite pieces this time around is the Body-Sensors Thermolator II Jersey. On those 30 something degree days with the sun shining, you better believe I'll be wearing it under some running jersey that I've acquired over the past year. 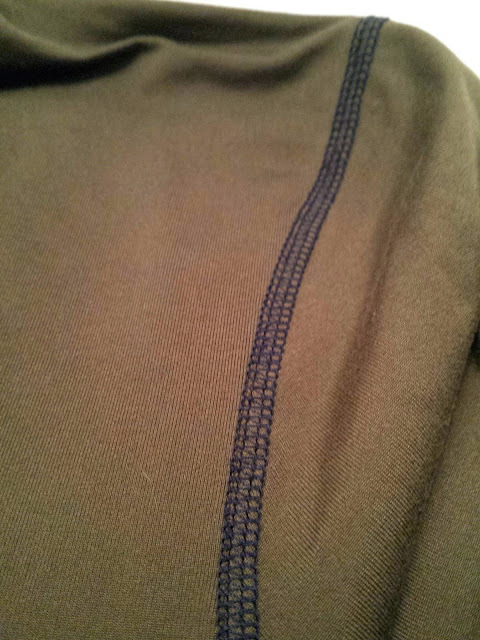 This baselayer is awesome. 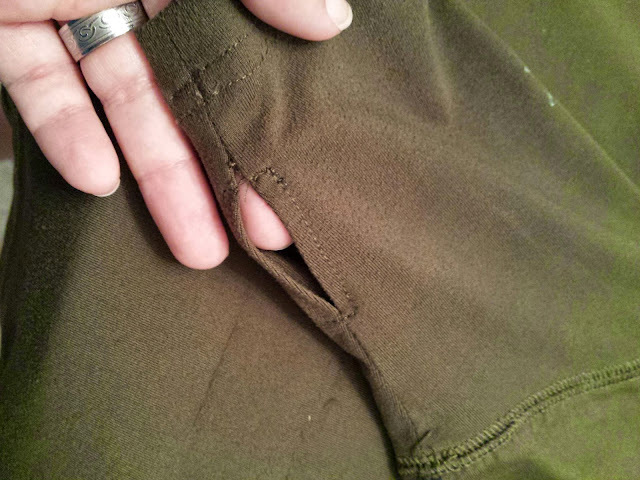 Very warm, yet breathable, long sleeves, and it even has thumb holes, not something I've seen a lot of in men's clothing. I've been on a few trail runs with this top so far, and I've not been disappointed. 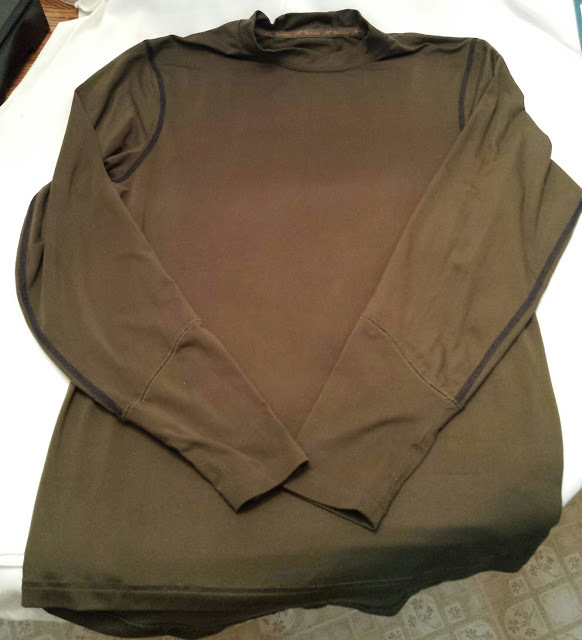 In olive green with black and yellow trimmings, my Body-Sensors Thermolator II, will be my go-to baselayer for anything above 30 degrees. 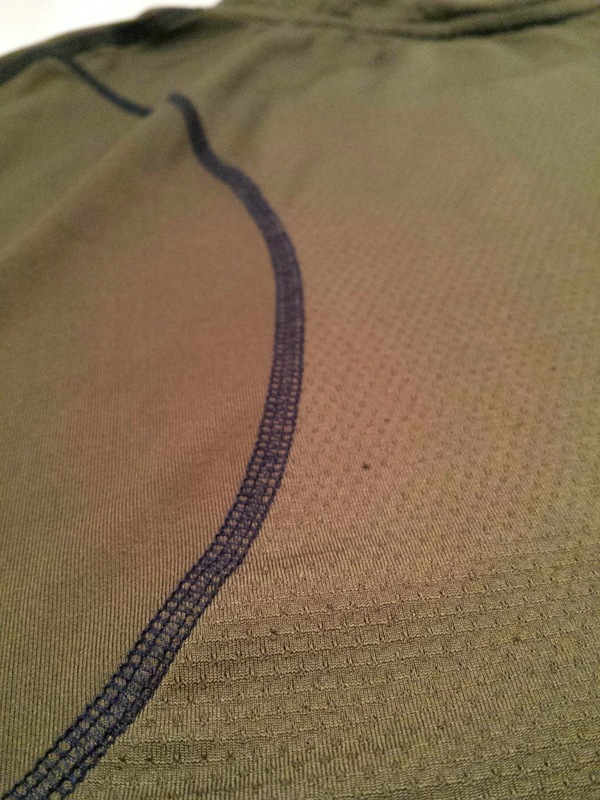 It's quick to wick moisture away from my body, has a 360 degree fit that allows full range of motion which is quite nice. 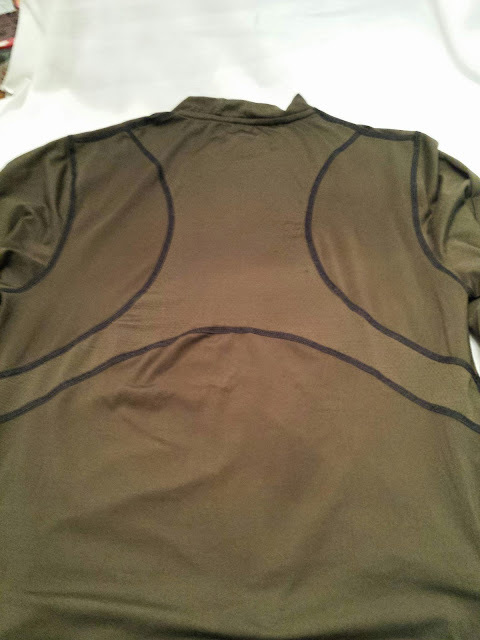 Terramar's ec2 Qwik-Dri technology infused into the fibers of the shirt improves it's ability to wick moisture to keep you dry and comfortable.The shirt is made of 86% microfilament polyester and and 14% spandex. The medium is a perfect fit for me, the sleeves not too long or short and the length, well it's a little long but it usually gets tucked anyway so no big deal there. Terramar's Body-Sensors Thermolator II is a great base layer top and perfect for any activity. Not only do I wear it when out running the trails, but I hike in it and sometimes even wear it to work as an under shirt. 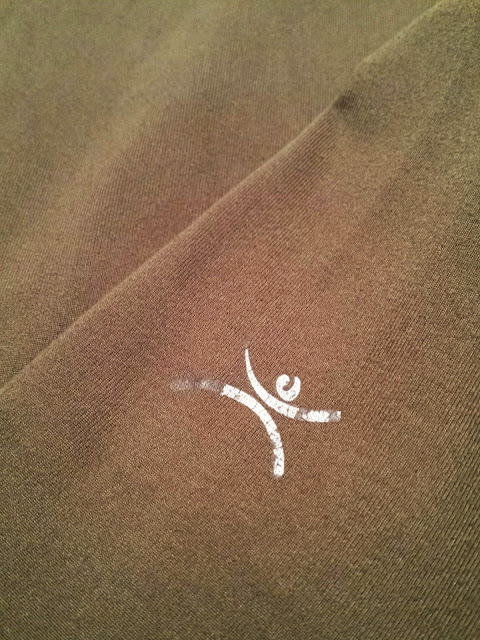 This is definitely one baselayer that you won't be disappointed with. 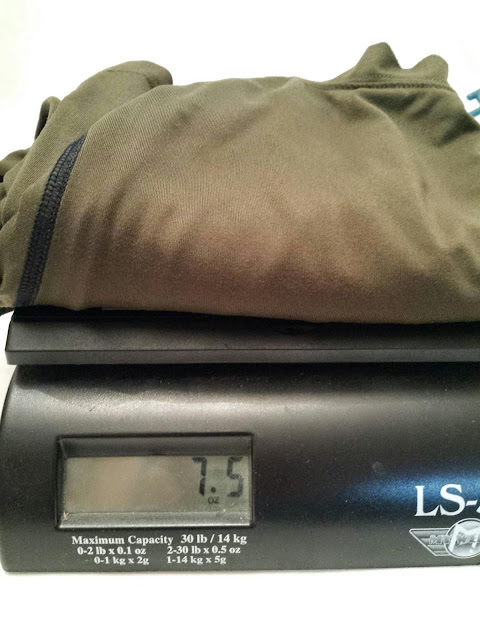 Disclaimer: Tim received the Terramar Body-Sensors Thermolator II shirts for review purposes only. Tim of Appalachia & Beyond is a member of the Terramar Tribe (brand ambassador program for Terramar Sports) but is not being compensated by Terramar for this review. The opinions expressed above are Tim's independent thoughts and experiences.